Exotic Tans was formed in 2002. 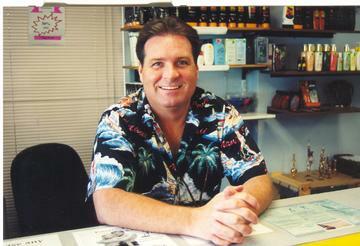 I have been in the tanning industry since 1994. We will always continue strive to provide a low cost alternative with personalized service than other Higher Priced Tanning Salons in Marin County, CA. Exotic Tans strives to assure every tanning experience to be a pleasant and comfortable one. We consider our cliental to be one big family. Each customer is greeted on a first name basis. We always inquire how your tanning sessions are going. As a special gift for you on your birthday, you will receive one (1) free Pacific Blue session a fifteen dollar ($15) value. For every New Client that is referred by a client they receive one (1) Free Platinum tanning session ten dollar ($10) value. If the new client purchases a Platinum Tanning package of one (1) Month, you will receive two (2) free Platinum sessions twenty dollar ($20) value. If they purchase a Pacific Blue package of one (1) month, you will receive two (2) free Pacific Blue sessions a thirty dollar ($30) value.